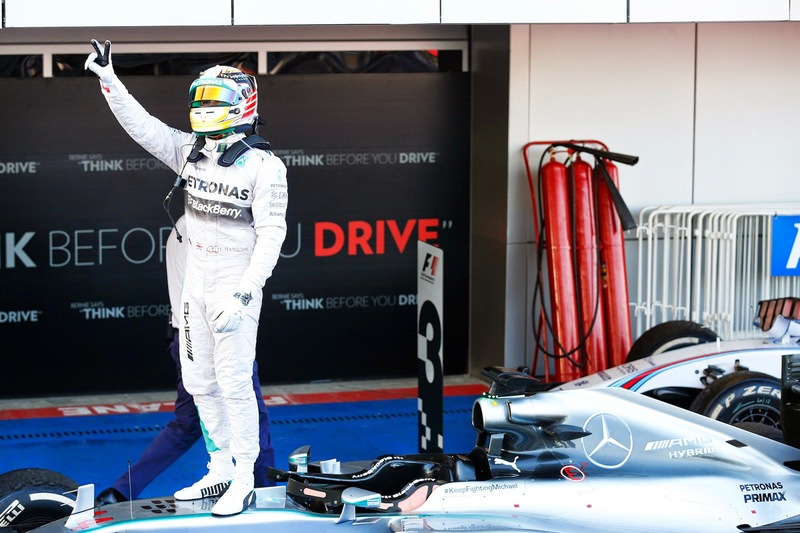 Axis Of Oversteer: Hamilton in a class of his own at Sochi Snoozefest. 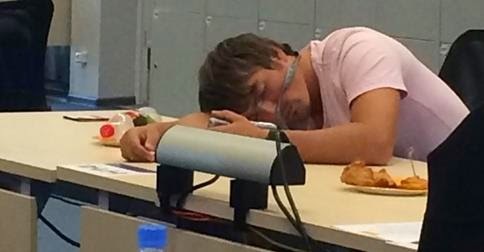 Hamilton in a class of his own at Sochi Snoozefest. 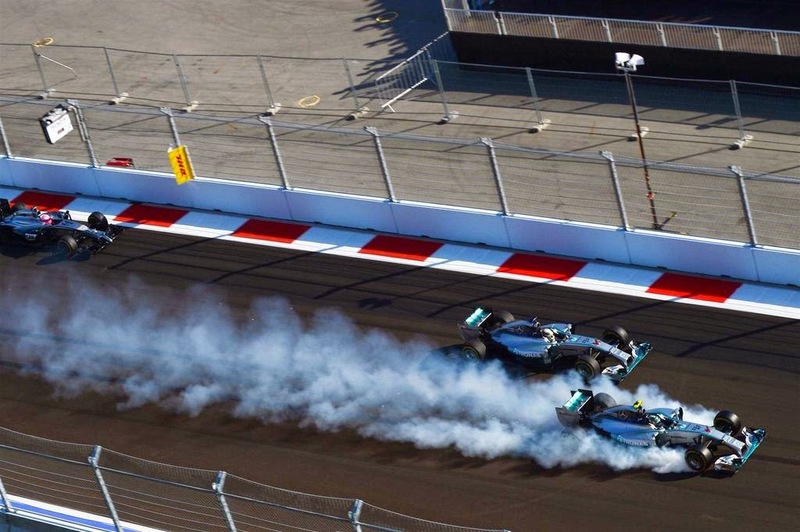 Hamilton cruises to victory as Rosberg's title hopes fade in a cloud of Pirelli smoke. 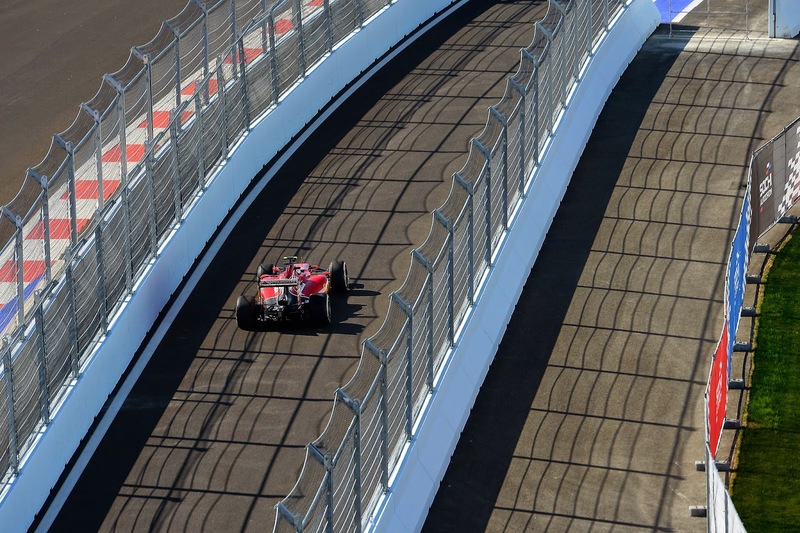 Let's be honest, the most entertaining thing about the inaugural Russian GP on the Sochi Autodrom was following Twitter feeds making fun of Putin and Bernie. Fernando Alonso's sybilline declarations post race were far more interesting than following Hamiltons "brilliant" drive cruise from flag to flag. The Sochi track might most charitably be described as horrid. It may have presented some challenges to the drivers but the spectating was just painful, it was almost impossible to distinguish which corner was which as cars raced in that concrete lined gulag. It might have been more interesting had Nico not gone up in Pirelli smoke in the first turn. This forced him into an immediate pitstop to get rid of his now square tires. That he was then able to go from DFL to 2nd using the same tires for 52 laps is just a measure of Mercedes's superiority over the field. Barring an unlikely string of mechanical failures on Lewis' car, Nico can kiss the championship goodbye at this point. Mercedes decided it would side with Hamilton after the incident at Spa and since then it's been one mistake after another for Rosberg. Williams looked close-ish but it really was not, Hamilton was just cruising. Toro Rosso only did well early on because they had no gas in the cars. 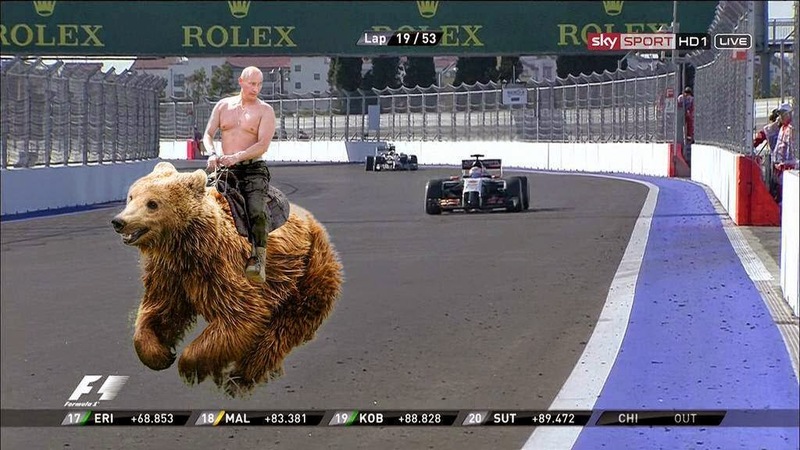 The plan to have Vladimir Putin take his shirt off mid race and ride a bear across the track causing a safety car and precipitating a Kvyat win, sadly did not pan out. 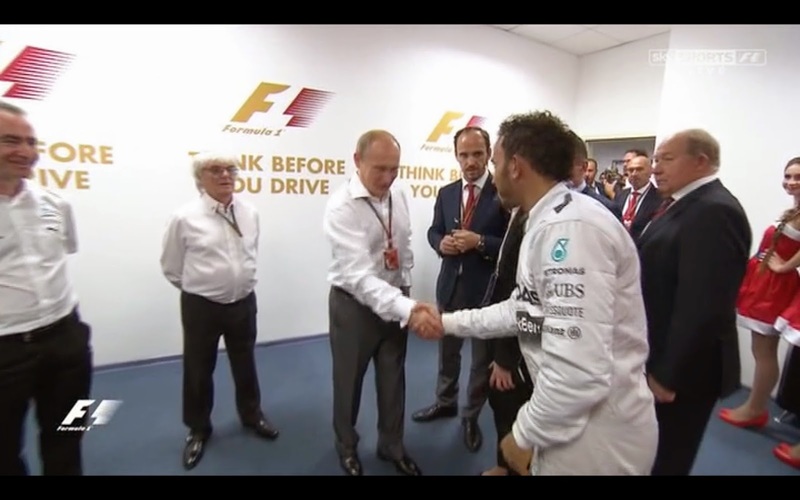 After the race Putin seemed very interested in how much weight Lewis loses during a race. Alonso kept things interesting, albeit outside the car, telling SkySports Ferrari si the team that he loves and that when the dust settles "you will say it was obvious he would do that". Later he told NBC's Will Buxton that he will not be in a Mercedes powered car next year. Obviously, Fernando is a master level troller of the media. 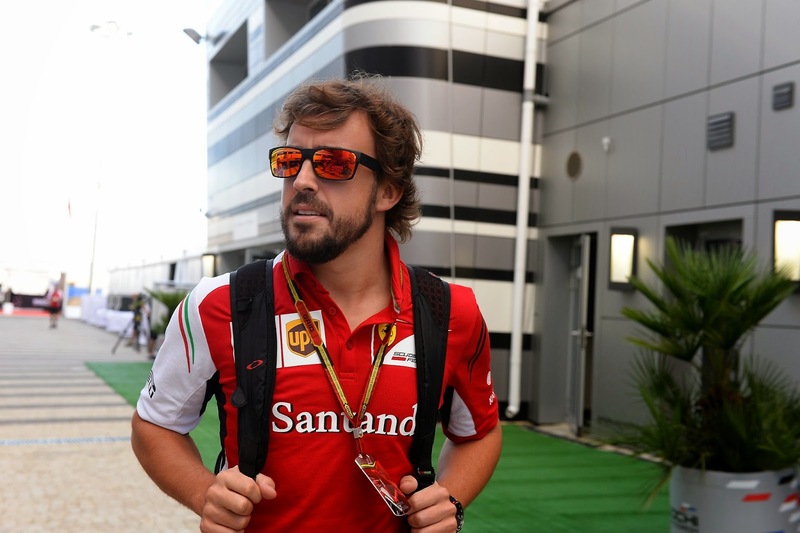 Ferrari know there will be 3 car teams next year and they want Vettel, Alonso and Raikkonen. Which 2 or 3 teams do you think will drop out, since Haas will be joining next year? I read the 3 car team thing somewhere else this weekend ... it would sure change things up. I don't think the track was that bad. The race had little action mainly due to zero tyre degradation. This is how it goes when tyres last and perform at will. This is how racing was in the 90's and this is what FIA is trying to avoid, thus asking from Pirelli to supply short lived tyres. You cannot have it all. You want tyres that last and drivers can push the entire race as much as they want? You get this type of race. The dominant cars will prevail and their will be no mixing nor any surprises or different strategies. You want action, then accept that tyres need to be short lived. It is surprising how fast the audience forgets. F1's spectacle seems to be as good as the last race. You're right, they moved the date from the original plan.